Have you worked previously in Omni Channel support / as Support Engineer, or a bit more "Dutchie" as Functioneel beheerder / Applicatiebeheerder and are you ready to make an impact in our Omni Channel department? Are you not afraid to take charge in the most important application processes? Are you the type of person that gets things done and keeps his or her head calm? Then definitely keep on reading this vacancy! Internship E-commerce - Online Merchandise (m/f) Apply now for the “Best internship in Retail” at Hunkemöller! In for a challenge at Hunkemöller? As of September 2019 our E-commerce team at the headoffice in Hilversum, nearby Amsterdam (NL) is looking for an Online Merchandise intern. Are you currently studying and looking for an interesting and challenging internship at our expanding, international Retail brand? Then don’t be shy, apply! Internship E-Commerce - Webshop Coordination (m/f) Apply now for the “Best internship in Retail” at Hunkemöller! In for a challenge at Hunkemöller? As of September 2019 our E-commerce team at the headoffice in Hilversum, nearby Amsterdam (NL) is looking for a Webshop Coordination intern. Are you currently studying and looking for an interesting Fashion internship at our expanding, international Retail brand? Then don’t be shy, apply! 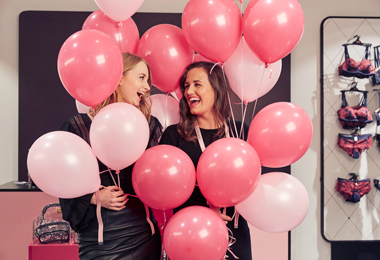 Internship Omnichannel (m/f) - Apply now for the “Best internship in Retail” at Hunkemöller: In for a challenge at Hunkemöller? As of September 2019 our omnichannel team at the headoffice in Hilversum, nearby Amsterdam (NL) is looking for an intern. Are you currently studying and looking for an interesting internship at our expanding, international Retail brand? Then don’t be shy, apply! Would you like to see more Omno / E-Comm jobs?